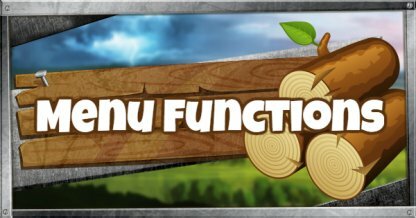 This guide will focus on the Fortnite Lobby Menu & its different functions. Find out how to add friends, join parties, track levels, challenges, and more. Click here to learn the Basics of Fortnite! 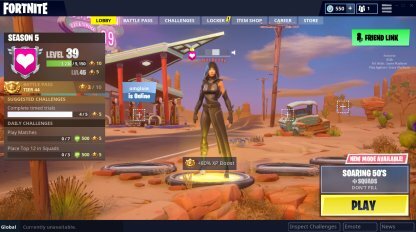 Fortnite's Lobby Menu is a hub page that allows players to add friends and join parties, track weekly and daily challenges, choose game modes and more! 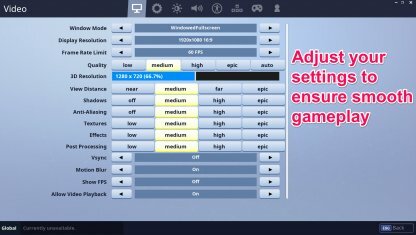 Before jumping into any game mode, it is recommended that you first adjust your settings to get the best gameplay experience out of Fortnite Battle Royale. 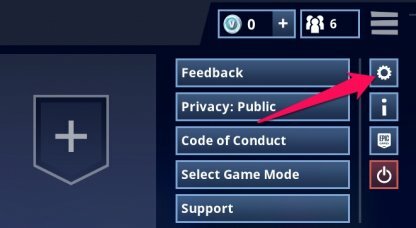 Your settings can be found on the upper right corner of the Lobby. Adjust the video quality of your game so that it does not experience any frame rate drops when things get hectic on screen! It won't hurt to have lower quality video settings when you're getting Victory Royale's left and right! Changing your control scheme to something that you are more used to will help when playing the game. 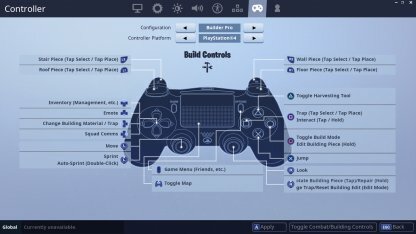 Here are some recommended controls for PC, PS4, Switch, and Mobile! Adjusting your mouse or controller sensitivities will help you aim better. Having just the right amount of sensitivity in your controller or mouse can help you land more shots at a target! Fortnite is best enjoyed with friends. The Menu allows you to add friends, invite them to your squad, or to join theirs. 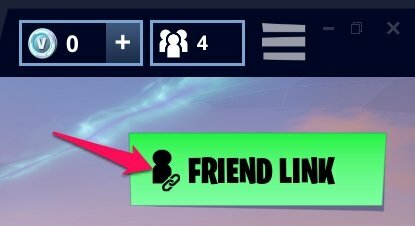 Friend Link is a feature that lets you send a link directly to other players. 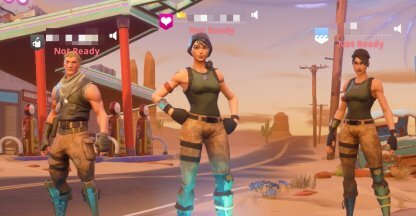 Invite them to become a friend in Fortnite! It is located at the upper right part of your lobby. Chat with your team before the match so you can talk about strategies, where to land, and more! You can easily talk to your team by enabling Voice Chat. No need to type, just talk into the mic to easily chat with the team! The bottom left corner of your lobby features a chat box that you can use to chat with your team. Use the chat box to talk before matches. Party updates will also be displayed here. 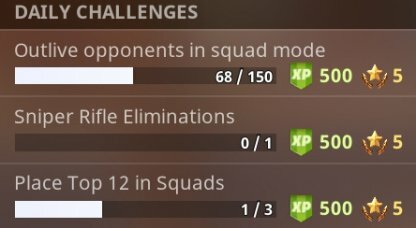 You can check your current Challenges in Fortnite's lobby. These are displayed on the left side of the screen. Your Battle Pass Tier and Level will also be displayed on this section of the lobby, as well as the number of Battle Stars you need to reach the next Tier! 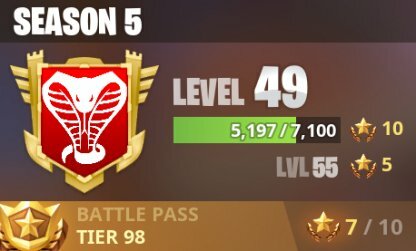 Check out S5 Battle pass and challenges! Fortnite Battle Royale has a number of different Game Modes for you to choose from! Some Game Modes will be replaced with newer modes to keep the game fresh!